Stéphane Guillon, Julie Gayet, Jonathan Zaccaï et al. 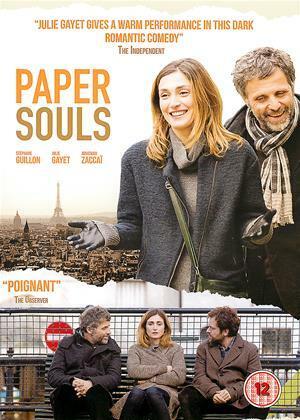 In this charming and touching dramatic comedy, Emma (Julie Gayet) is a pretty widow and bookshop owner with a young son. Paul (Stephane Guillon), who is also getting over the death of his spouse, earns a living writing funeral orations. One day, Emma hires Paul to write about her late husband so that her son will have something to remember him by. A relationship forms between Paul and Emma, but just when romance is in the air, Emma's dead husband appears as a ghost at Paul's front door. This critically acclaimed movie was inspired by the comedies of Woody Allen.